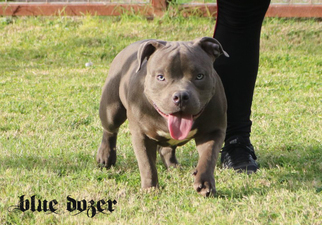 Beautiful Blue American Bully Male. Boys has 2 Grand Champions top and Bottom GRCH Fonzi and GRCH Mr Bean top and bottom up front. 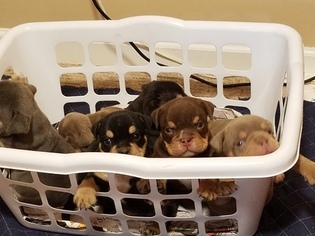 Overview: American Bully Guide 101 – Picking The Best American Bully Breed For You Thinking of getting an American Bully dog as a pet? Then you have come to the right place. 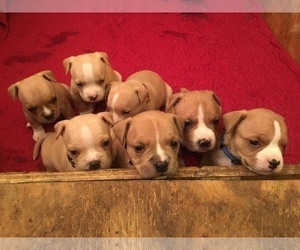 Here at AmericanBullyDaily.com, we have a guide for the best American Bully breeds that you want to adopt or buy. 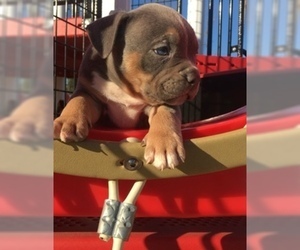 For those who don’t know or have little idea what an American Bully is, the contents below will have some info: Short history of the American Bully American Bully Cute PicturesThe American Bully breeds are an extension of the American Pit Bull Terrier breed. 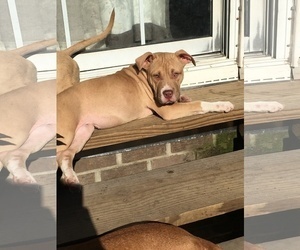 The American Pit Bull Terrier breed has it own characteristics, temperament, and appearance, but the American Bully has evolved from the original acquiring its characteristics, temperament and appearance. There is also an infusion from other breeds like English Bulldog, Old English Bulldog. Though the American Bully breeds seem similar to Bulldogs, they must be considered as a separate breed. As of July 15, 2013, the United Kennel Club has recognized the breed distinct from other breeds. Coat: The American Bully has a short, stiff coat that just needs to be brushed once a week and bathed when dirty. Character: The American Bully is friendly and reliable. Temperament: The American Bully was bred to be a family dog, which is evident by their outgoing, loving personality. The American Bully may look intimidating to some, but this breed is even-tempered and calm. American Bullies love life and are happy to share their affection. They adore people and are especially tolerant and fond of children. 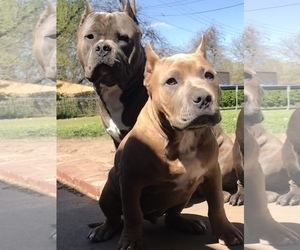 American Bullies are naturally protective of their families. Although they are confident and brave, American Bullies are not aggressive. Care: Like all dogs, the American Bully also needs basic grooming. Brush their teeth, clean their ears and trim their nails on a regular basis. 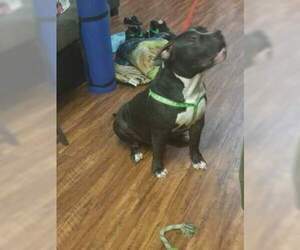 Training: The American Bully is very obedient and picks up commands easily. The American Bully is eager to please their handler and responds best to assertive, but calm training. Activity: The American Bully needs regular exercise in the form of a daily walk and time outside in a secure area to run around and play. 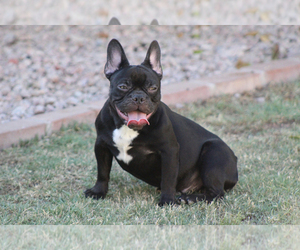 Akc chocolate male French bulldog available . Shots and worming up to date. Pet price listed Full Akc can be discussed. Fawn Male with light eyes. 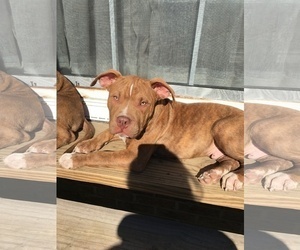 7 month old male located in Dallas Texas white rhino and dax blood line abkc.